Living Room Index and Pool, an exhibition that takes the form of an encounter between Yuri Masnyj’s sculptures and Lauren Bakst’s performances, features an installation of sculptural objects—boards, pipes, mats, tubes, chairs, tables, sections of wall—that take their cues from construction sites, furniture design, and architecture. These objects relate to things in our world, but through their aestheticization, material quality, and scale produce a slightly off or uncanny sensibility. This expanded landscape will serve as the context for a series of performances by Bakst, joined by fellow dancer Emma Geisdorf. Occupying and reconfiguring the space, the pair of bodies oscillate between the framer and the framed—exploring the ways that rooms, and the objects that constitute them, create containers of affective experience. Living Room Index and Pool was designed over the course of seven months by Masnyj and Bakst and is the evidence and continuation of a working and research-oriented process. The installation and performances constitute a field in transition or site that will evolve over the course of the exhibition—resisting arrival at a singular image or event. Lauren Bakst and Yuri Masnyj are both 2014-16 Open Sessions Artists at the Drawing Center and met through their participation in the program. 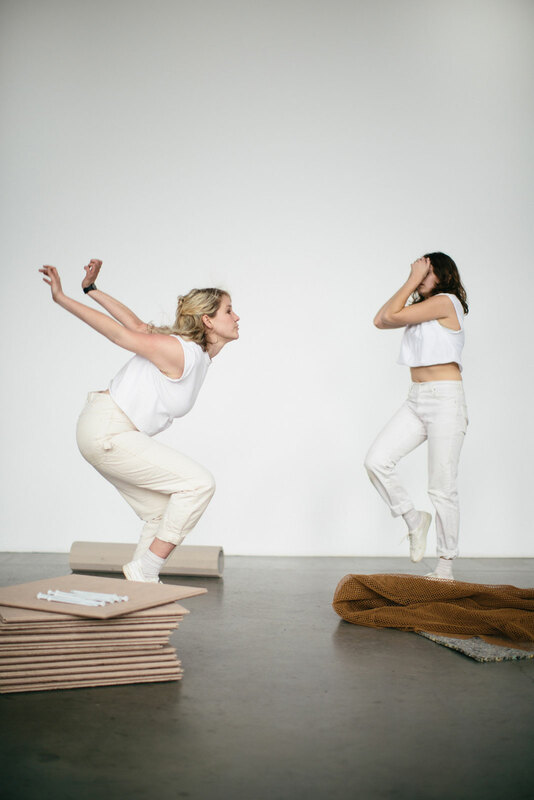 Lauren Bakst‘s work spans choreography, writing, video, and performance. A trained dancer, her work places the skilled body and choreographic form in conversation with questions around subjectivity, affect, memory, and history. Yuri Masnyj works in drawing and sculpture and is known for his austere drawings of interior space and sculptural installations that have the qualities of theatrical set objects. Masnyj’s work addresses the relationship between art and design while exploring the human compulsion to collect and compose objects.